In most cases high street lenders will not offer PRC repair mortgages until your PRC property has been repaired and a PRC certificate of completion issued. This obviously causes a major problem because you need to buy the house from your Local Authority or Housing Association before the structural PRC repairs takes place. One of the major high street lenders have been offering PRC repair mortgages for many years which enables people to borrow the Right to Buy purchase price along with the extra funds to pay for the PRC repairs. The PRC repair mortgage funds are released in 2 stages, the first stage is sufficient funds to buy your PRC home so that you are now the homeowner. The balance of the funds which will pay for the PRC repair is released once the Structural Engineer issues the PRC Certificate and the building work has been completed. Give us a call for details on arranging your own PRC repair mortgages. Discounts on right to buys have been increased to a maximum £75,000 outside of London and £100,000 in London. You’ll have to pay back some or all of the discount you got if you sell your Right to Buy home within 5 years of buying it. The amount you pay back depends on the value of your home when you sell it. If you are lucky enough to already own your PRC house it is usually straight forward to remortgage with a lot of high street lenders at normal interest rates. The lender will issue you with a mortgage offer to cover the cost of the PRC repairs and the funds will be released once the Structural Engineer issues the PRC certificate. We have completed PRC repairs for a lot of clients who have purchased their PRC homes years ago and have a mortgage with specialised mortgage lenders usually paying a much higher interest rate than that offered by the mainstream high street lenders. In some cases we have found that our clients are paying the same monthly cost after their house has been repaired due to paying a much lower interest rate. We can supply you with all the information your lender requires for PRC repair mortgages and PRC certificate. The PRC Repair Co Ltd are not mortgage brokers and do not offer advice on mortgages. The information supplied on this webpage is for information only. Most Airey PRC repair mortgages are repaired under the Halifax Approved Scheme and most clients arrange a mortgage for the repair funds from the Halifax, once the property is repaired most major high street lenders will offer mortgages at normal interest rates. Cornish houses should be repaired under a PRC Homes licensed repair scheme. High street mortgage lenders will offer mortgages at normal rates and should you sell in the future your buyer should find it straight forward to arrange a PRC mortgage to purchase the property. 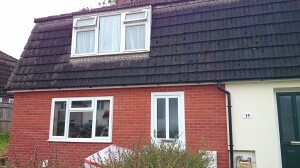 Cornish bungalows should always be repaired in the same way as Cornish houses using a PRC Homes Licensed Repair. Although a Hawksley PRC looks to be a brick house they are a concrete construction and on the defective house list. A PRC repair should be carried out using a PRC Homes licence as this will acceptable to most major high street mortgage lenders. There are a lot of Myton construction PRC houses in Leeds and they are a large panel type of PRC house. Most PRC repairs carried out to these properties are under a PRC Homes licence as the PRC Certificate issued is acceptable to most major high street lenders for a PRC repair mortgage. Mortgage lenders will only lend on a PRC Homes Ltd approved repair scheme, the repaired house is issued with a PRC certificate and PRC repair mortgages can be arranged at normal interest rates. The new BRE (Building Research Establishment) scheme is acceptable to mortgage lenders at normal interest rates. This repair scheme is much cheaper than a PRC Homes Ltd repair. A PRC Homes licensed repair involves replacing the concrete panel exterior walls with a cavity, block and brick traditional wall. Internally there are concrete beams which also need to be replaced with steel joists (RSJ). 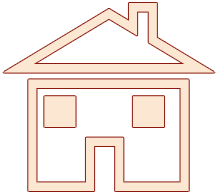 It is not possible to live in the property whilst the repairs are carried out. A PRC Homes Licence is acceptable to major high street lenders. Stent houses are usually found around the M25 and there are only 2 PRC Homes licensed repairs which the major high street lenders accept for mortgage lending. Most Stent houses are straight forward to repair as most of the works are carried out to the exterior walls. All Unity houses either type1 or type 2 should be repaired using a PRC Homes Licensed Scheme. 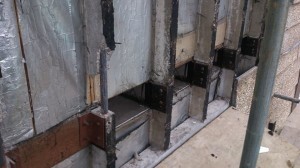 This system of repair removes the external concrete panels and posts and replaces them with a traditional cavity, block and brick wall. All the major mortgage lenders, Halifax, Santander, Nationwide etc will accept PRC repair mortgages at normal interest rates. The new BRE (Building Research Establishment) scheme is acceptable to mortgage lenders at normal interest rates. 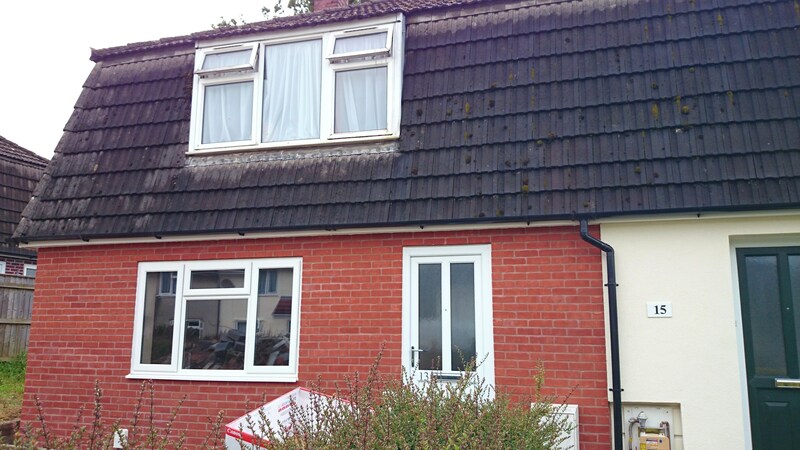 This repair scheme removes the external PRC walls and these are replaced with a traditional cavity wall the same as the PRC Homes Ltd scheme. On the new BRE scheme the internal concrete beam does not have to be replaced with an RSJ and the works to the party wall are not required. This makes the cost of the BRE scheme cheaper than a PRC Homes Ltd repair. There are many licensed schemes used to repair Wates Construction houses. A PRC Homes licence is acceptable to most major high street lenders. The works carried out under a PRC Homes Licence involve replacing the exterior concrete panels and post with traditional brick and block. 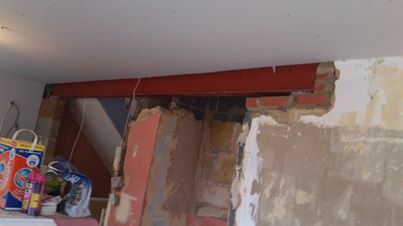 The concrete beams sitting on the fireplace will also need to be replaced by steel joists and a new wall is built internally against the party wall. A PRC Homes Licensed repair should always be used to repair Woolaway houses as the PRC Certificate issued is acceptable to all the major high street lenders at normal interest rates. Although Woolaway bungalows are not on the defective houses list most major high street lenders will not offer mortgages on these properties without a repair. There is not a licensed PRC Homes repair scheme for Woolaway bungalows. Mortgage lenders will offer mortgages as long as they have a certificate from a Structural Engineer confirming that the concrete Woolaway walls have been replaced with a traditional brick, block construction. Building a new brick wall around the existing concrete walls (wrap scheme) can cause problems arranging a mortgage as the existing concrete structure is still in place. Need help with PRC repair mortgages? We can arrange for a specialist FSA registered mortgage broker to advise on PRC repair mortgages. Call us for details.